Guaiac is the resin from a tree; the crooked trunk grows 30-40 feet high and provides lignum vitae, the olive-brown, heavy, very hard wood which contains the oily resin. 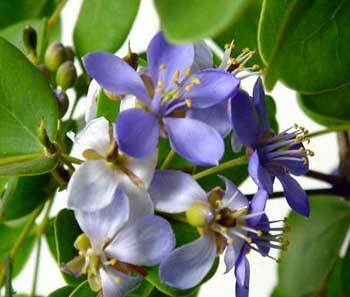 Grows in the West Indies, Mexico, Central America, and northern South America. In Paracelsus’ time, merchants brought home a sort of wood that was said to contain a medicinal resin. This wood was extraordinary because it sank in water, obviously being heavier than water, and this made it different from any other wood known at the time. It was found in the West Indies and South America and, when heated, a resin flowed from it that became a remedy for consumption. 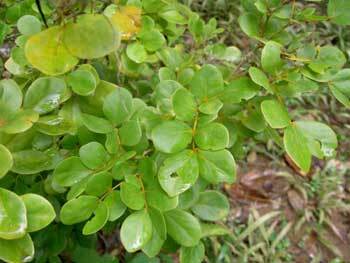 Guaiac used to help gout, fever, catarrh, syphilis, sore throat, consumption, rheumatism, and skin diseases. Take a decoction of the wood and keep warm to induce perspiration and keep cool for diuretic action. Decoction: boil 1 tsp. granulated wood in 1 cup water. Take 1 tbsp. 3-6 times per day. Resin: take 2-5 grains at a time.